The “France: Revolutions in Paris” program includes 6 Political Sciences credits and excursions across the city. The program runs from May 12 to June 7, 2019, and is open to both undergraduate and graduate students. 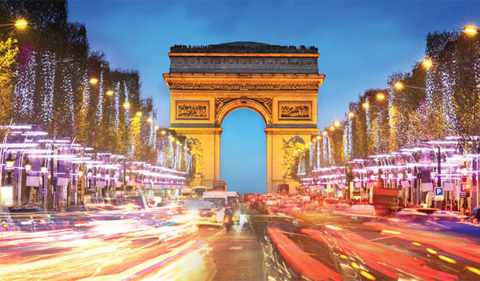 Experience French political theory and history this summer in Paris – one of the most captivating cities of the world! Examine differences between French, European and American politics firsthand. Participants will visit many of the important sites of revolutionary activity including Versailles, a key figure in the 1789 revolution. Other sites visited include the cemetery Pére Lachaise where many of the communards from the Paris Commune were executed, as well as the Montparnasse cemetery where Sartre and Beauvoir are buried. Take advantage of the many museums offering artistic representations of the themes of the course include the Louvre, Musée d’Orsay, and the Pompidou Center. Learn about the Napoleonic period, the Napoleonic Code, and the role of colonial soldiers in WWI and WWII through a visit to the military museum, Les Invalides. Examine the roles of the aristocracy and the concept of class.